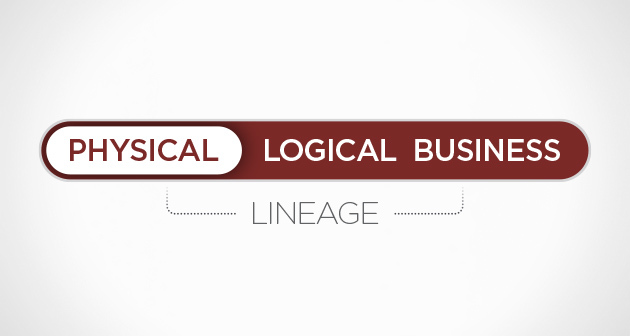 Can you trust your physical, business and logical lineage? Manta introduces support for many different levels of data lineage abstraction. When it comes to data, trust is always the key. And getting a complete overview of data flows in your system is necessary to get that trust back. Now, different types of lineage won’t mess things up anymore. It’s almost impossible to map complex BI systems on more levels of abstraction. Many different tools provide physical (technical), business and logical lineage, but this lineage is only good when it is complete. Like, totally. First, MANTA will do what it is the best in the world at – map detailed and accurate physical data lineage from the logic hidden in your programming code. Second, it loads external mapping between physical and logical or business objects (like business name to specific table / column mapping) from available sources and ties that with rendered physical lineage. Third, it uses mapped objects (business, logical) to transform existing physical lineage so it is better aligned with the objects provided (i.e. no detailed technical transformations for business objects but rather simplified descriptions). The result is accurate, trustworthy lineage of any kind – based in reality and yet useful for everyone who needs to understand the specific level of abstraction. To learn more about MANTA, simply get in touch and ask for 30-day free trial!